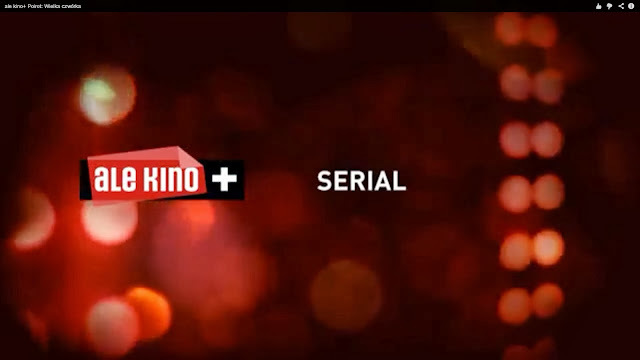 A trailer for the Polish broadcast of 'Tbe Big Four' has now been released on YouTube! Thank you to the anonymous commenter who alerted me. Here's the link: http://www.youtube.com/watch?v=cHoaIKpxYuM. Press the 'read more' link below for a frame-by-frame look at the trailer. SPOILERS to follow! Vote for Poirot and David Suchet in the National Television Awards! 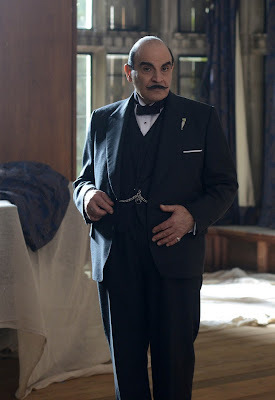 I've never understood why David Suchet has never been awarded a BAFTA award for his performance as Hercule Poirot. I live in hope that it might happen next year. What a way to celebrate 25 years in the role! In the meantime, the UK National Television Awards is a good second option. This year, they've added a new category called 'TV Detectives'. David Suchet is nominated (obviously). There will be tough competition, with loads of brilliant nominees, but I think it's worth a try. 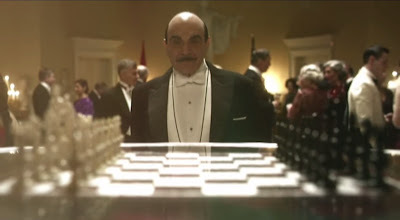 Also, if the information on Wikipedia is correct, Poirot has never won a National Television Award. So - if you love the series as much as I do - go to the National Telelvision Awards website and vote! This episode was based on the novel Three Act Tragedy, first published in 1934. It was adapted for television by Nick Dear and directed by Ashley Pearce, who also teamed up for the adaptation of Mrs McGinty's Dead. Nick Dear's script stays remarkably true to the novel, with only some minor changes. First, Dear introduces Poirot much earlier than in the book (as has become the norm in the adaptations). He becomes a long-time friend of Charles Cartwright (a change that actually adds to the depth of the story), and he consequently replaces Mr. Satterthwaite (who is deleted). Second, Egg Lytton-Gore gets a somewhat more active part in the investigation, joining, for instance, the search of Ellis's room. Third, Egg's interview with the model from Cynthia Dacres' store is removed (it added little to the plot). Fourth, the character of Angela Sutcliffe (Charles' former lover) is removed - and she doesn't feel missed. Other than that, only minor changes are made to the plot, with some interview sections shortened and some lines changed. As a result, I think we can safely say that Dear's adaptation is a faithful retelling of its source material. Ashley Pearce's direction here is probably not to everybody's taste, but I think the slight artificiality works well. I enjoy the many hints towards the link between the case and the theatre (the theatrical opening scene, the presentation of the dramatis personae, the murders, and the denouement, fittingly set on a stage. Also, I think the scene in which Poirot builds the house of cards (a homage not only to the novel but also to the adaptation of 'The Disappearance of Mr Davenheim') is absolutely exquisite. The production design for this episode is impressive, with several different sets (both real and artificial) beautifully dressed. The locations used are perfect for the adaptation. These include St. Anne's Court in Chertsey (previously seen in 'The Plymouth Express' and Mrs McGinty's Dead) and the entrance hall of Eltham Palace (previously seen in Death on the Nile) doubling as Crow's Nest. Also, the Novello Theatre in London, Knebworth House in Hertfordshire (doubling as Dr Strange's house), Villa Maria Serena in Menton, France (previously seen as Villa Marguerithe in The Mystery of the Blue Train, doubling as the Majestic in Monte Carlo), Wandsworth Town Hall (doubling as the interior of the Majestic), Claridge's Hotel in London (doubling as Ambrose store), Paddington train station (footage last scene in the Marple episode 4.50 to Paddington, I believe), the Bluebell Railway Pullman carriages (used for the trian journeys), Wansford Station in Peterborough (doubling as Loomouth station), and Little Marlow St John the Baptist Church (used for the exhumation scene). Christian Henson, who took over from Stephen McKeon as composer for Series Twelve and Thirteen, does an excellent job with the soundtrack, perfectly mixing Gunning's theme with his own musical trademarks. By now, Poirot (or rather, Suchet) is starting to move into real retirement, with lunches at the Ritz and yearly visits to Monte Carlo. His friendship with Cartwright somehow seems perfectly natural in this stage of his life. I like that David Yelland (George) is given a tiny cameo in which he is clearly familiar with Cartwright. A small continuity thing I've only noticed re-watching the episode is the fact that Egg is seen reading a book called Travels in Arabia by Dame Celia Westholme (a reference to the adaptation of Appointment with Death from Series Eleven). Of the guest actors, Martin Shaw is the main standout, with a performance perfectly balancing the theatricality of the character (love his reference to Stanislavsky and the roles he have played in the theatre) with the human being, particularly in the denouement scene, which he manages to make both touching and slightly creepy. 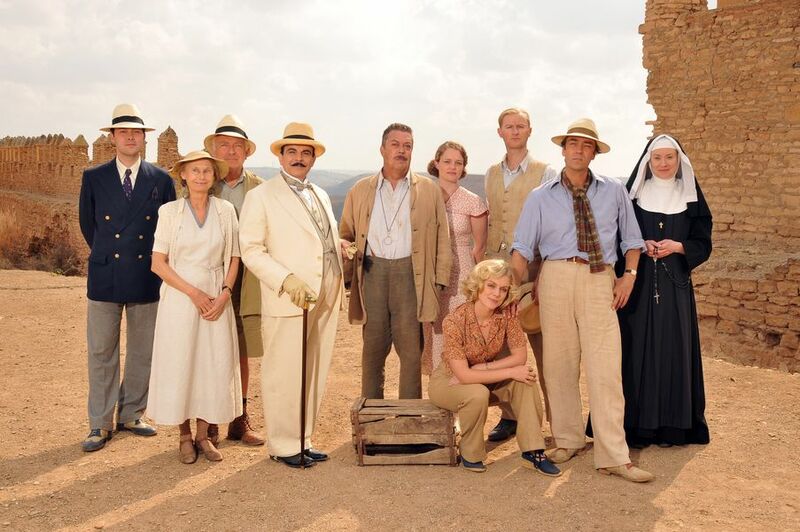 However, Kimberley Nixon (Egg Lytton-Gore), Art Malik (Sir Bartholomew) and the rest of the cast do an excellent job, too. It seems Poland might be the first country to air the final series. Elephants Can Remember, The Big Four, The Labours of Hercules, Dead Man's Folly and Curtain have all been given air dates, one for each month up to and including January 2014. See the Polish schedule (in Polish) here: http://www.alekinoplus.pl/alekino_wydarzenia-20130905-detektywi.html. And for those of us who aren't fluent in Polish, see this Google translation. What this means is that the series is definitely through post-production and has been released for the international market. Surely ITV can't be far behind? Thanks to Tom, a reader of the blog, and ueetba, an IMdB user, for the information! This episode was based (in the loosest sense of the word) on the novel Appointment with Death, first published in 1938. It was adapted for television by Guy Andrews and directed by Ashley Pearce. This episode was based on the novel Third Girl, first published in 1966. It was adapted for television by Peter Flannery (creator of the television adaptations (not the novels) George Gently), and directed by Dan Reed. Peter Flannery's task of adapting this novel for television series was not an easy one. The novel itself is significantly coloured by the Swinging Sixties atmosphere it is keen to portray (and was written in). Following the norm of the series, the novel had to be transported to a mid-1930s setting. Flannery partly succeeds. He makes several significant changes (the blog 'Sound Insights' points out that he 'maintains pretty much only Norma’s initial claim, the unmasked impostor and the imposter’s murderous co-conspiritor'). Some of the changes work well, and some don't. Most importantly, Norma's backstory is significantly altered. She is never given drugs as in the novel. Instead, her disoriented state is blamed on the trauma caused by her mother's suicide, which she witnessed at the age of seven (her mother was, unlike in the novel, Mary Restarick). SPOILER In fact, her mind is manipulated by Frances, who planted (and later removed) a knife from her room. I'm not entirely sure if this explanation works, and I still don't quite see why they couldn't have introduced a drug of sorts (the series has tackled drugs before, e.g. in 'The Affair at the Victory Ball' and Peril at End House). 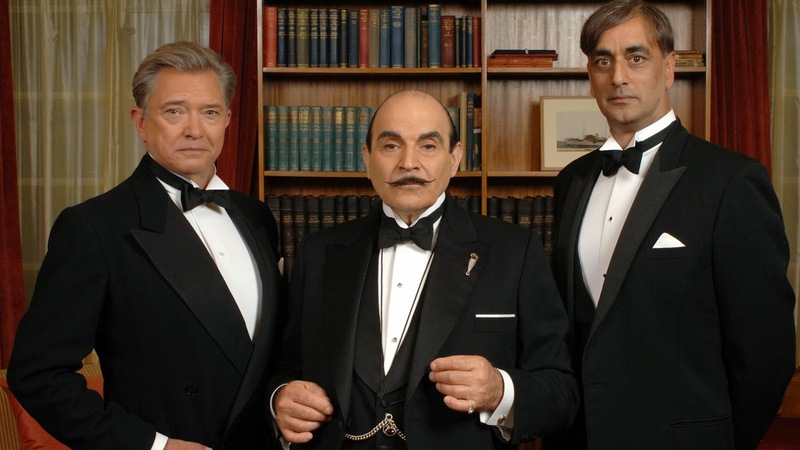 Moreover, three friends of Poirot are deleted from the plot; Miss Lemon, Mr Goby and Dr Stillingfleet. I know many fans were annoyed that Miss Lemon was deleted. To some extent, I agree that her presence would have been a nice addition. 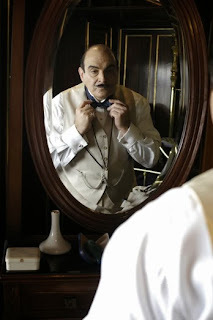 However, I think it's important to remember that the character of George (the valet) was deleted in the earlier adaptations, so to increase his presence at the cost of Miss Lemon's now in the later years (particularly considering that Poirot is semi-retired) seems fair. As to Mr Goby, he has been deleted from previous adaptations and his presence seems unnecessary here anyway. Dr Stillingfleet's presence would perhaps have been welcome, but Norma's future is secured by a different change (David Baker survives). A further (and significant) change was to replace the character of Louise Charpentier with a new character, Nanny Lavinia Seagram, who looked after Norma when she was younger. Her murder is committed in exactly the same way as Mary Restarick committed suicide (instead of being pushed out of a window like Louise Charpentier), but the motive for the murder is the same. SPOILER Also, Mary Restarick doesn't pretend to be Frances Cary (that would have been too much like the solution in One, Two, Buckle My Shoe). Instead, Frances Cary becomes Norma's half-sister (Norma's teacher Miss Battersby had had an affair with Andrew Restarick that resulted in Frances. She told her daughter about Robert Orwell, and Frances found a way to become his co-conspirator (she wanted to inherit her half-sister's fortune). Of minor changes, Mrs Oliver explains that she sent Norma to Poirot much earlier than in the novel; she also gets to search Nanny Seagram's flat (a delightful scene). Moreover, Sir Roderick wants Poirot to look into David's background rather than find secret papers. Also, Inspector Neele becomes Inspector Nelson (not sure for what reason), and a lovely end scene between Mrs Oliver and Poirot is added. All in all, then, this adaptation largely works, apart from the fact that the Sixties atmosphere is somewhat awkwardly adapted to a 1930s setting. Both the concept of the 'third girl' (which remains in the plot) and the influence of drugs (which doesn't) would probably have been better suited to a later decade. As it is, though, with the series firmly based in the 30s, I actually think Flannery's attempt is almost as good as it gets, considering the challenges. The episode is competently directed by Dan Reed. 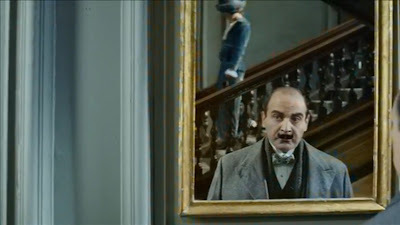 I particularly like the opening sequence in Poirot's flat, with sweeping overview shots, as well as Mrs Oliver's chase scene later in the episode (brilliantly acted, too!). His use of overhead shots adds to the somewhat sinister atmosphere (and so does the colour grading). The production design is impressive as always, with special credit given to Jeff Tessler's design of the Whitehaven flat, which plays a central role in this episode. Stephen McKeon's soundtrack works well for the episode (for the most part), and it's nice to see Gunning's theme tune hinted at again. The friendship between Poirot and Mrs Oliver continues to develop - there are several scenes in this episode that are simply a delight to watch (watch out for Poirot's comment: "I assure you, this is how she is"). Zoë Wanamaker is her usual brilliant self. Of the guest actors, Jemima Rooper isn't half bad as Norma, which is impressive, considering the complexity of the character. Now, this I can say with a 100 % certainty is from The Big Four. That should be obvious for anyone who's read the novel. The setting looks a bit different from how I remember in the novel, though, so I think we're in for some changes. This is a lot more different to place. But based on the first and the next screencap, I'm tempted to go for The Big Four here as well. Again, I think I can safely suggest that this is from The Big Four, very possibly the climactic scene (which, if the rumours are correct, has been changed quite substantially). The bow tie and the suit are the same as I've seen in a few location photos leaked from that scene. Based on this trailer for autumn drama I think we can now assume that November 2013 is the most likely air date, as has been suggested online. Lots to look forward to! Obviously, this isn't recent footage. 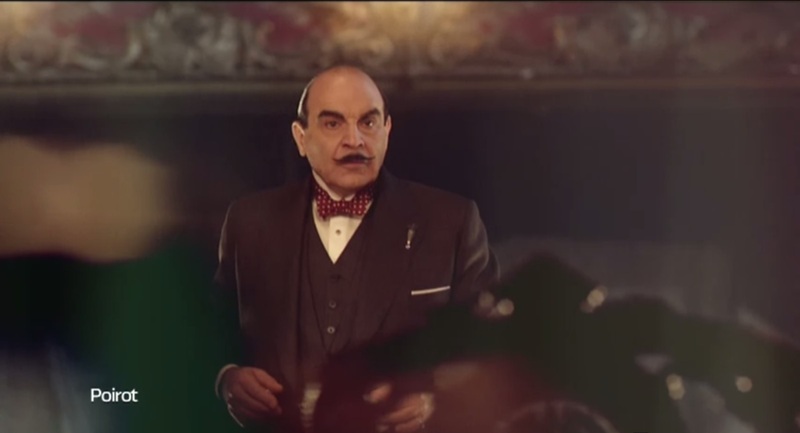 David Suchet was added through post production techniques. They seem to have used footage from Series One (I can't identify which episode off hand) and then added it to the stuff that was shot specially for the trailer. Still, it's a cool way of marking the 25 years. This episode was based on the novel Cat Among the Pigeons, first published in 1959. It was adapted for television by Mark Gatiss (co-creator of Sherlock) and directed by James Kent. Gatiss makes quite a number of changes to the source material without making them feel too 'added' (and that - as we will see in Appointment With Death - is not always an easy task!). His job is not an easy one, particularly because this is one of Christie's more incredible plots (like The Big Four and The Clocks, this story brings Poirot into contact with the world of espionage and secret agents!). The most important (and I'm tempted to say the most essential) change he makes is to add Poirot to the proceedings much earlier than in the novel (where it takes almost two-thirds of the story before his name is even mentioned). Instead of having Julia Upjohn introduce him, he arrives with the other students at the beginning of term, and we are told that he is an old friend of Miss Bulstrode's (a very sensible change). In fact, he is there as a guest of honour to present a Pemberton Lacrosse Shield award. Later, he is persuaded to stay on and help Miss Bulstrode find the right successor to the school (again, a sensible change). I love his cover story, posing as a representative for King Leopold of Belgium (of whom he is a friend in the Christie novels). Moreover, Gatiss deletes several of Christie's characters, including Col. Pikeaway, Mr. Robinson (a very wise decision), Briggs the gardener, Denis (Ann's boyfriend, whose role is partly given to Adam), Henry Sutcliffe - and Eleanor Vansittart (the third candidate for new headmistress). The latter character's characteristics and fate are partly inherited by Miss Rich. He also adds two students to the proceedings; Patricia Forbes (presumably added to showcase Miss Springer's temperament) and Hsui Tai (who gets to discover an effigy of Miss Springer, which is also added to the plot). Further changes include making Shaista Ali Yusuf's fiancé, changing the murder weapon used to kill Miss Springer from a gun to a javelin (a much more satisfying, almost horror-film inspired death), deleting Mlle. Blanche's identity theft (but keeping her blackmailing scheme) and the question of the ownership of the jewels. The script also changes the nature of a significant witness in Ramat from peeping-tom neighbour to one-time lover, (needlessly). Furthermore, the death of Rawlinson and his associate is changed from an airplane accident to a brave shoot-out in Ramat, and the robbery/search of the Upjohn's hotel room is removed (but referenced in the dialogue). Finally, some sections from the novel are removed, including the letters from the students to their parents, the mysterious American woman / the culprit in disguise, and the end scenes, and some scenes are added, including Poirot observing the teachers at the school, Poirot pretending to lose a map on the floor to look at Shaista's knees, Miss Bulstrode's visit to Ann's insane mother (rather than a countess), and a new end scene with Poirot, Julia and her mother. All in all, Gatiss's adaptation succeeds in streamlining a very untraditional Christie story and making the changes feel both natural and necessary. James Kent's direction is wonderful to watch. I particularly like the many transitions between scenes. For instance, in the well-directed opening sequence, the tennis rackets in the sports pavilion are compared to the guns of the rioters in Ramat, and the boy in the car, playing with his toy gun is compared to the shoot-out scene in Ramat. 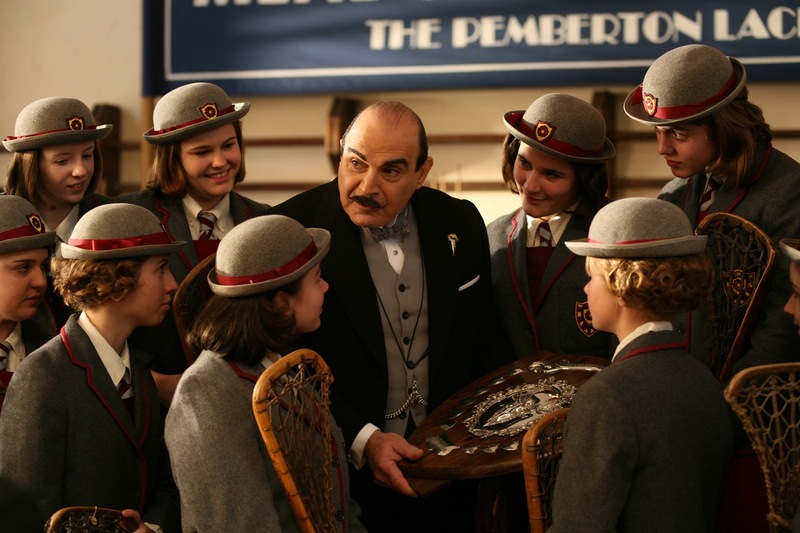 Also, the scenes in which Poirot observes the teachers are well done, and so are the different murder scenes. The direction goes well with Stephen McKeon's music, locations and production design, all contributing to the (dear I say it) Harry Potter / boarding school atmosphere. The main location used is the Sue Ryder Home in Nettlebed, Oxfordshire (previously seen in the adaptation of Sad Cypress), doubling as Meadowbank School. It's always nice to see Poirot reacquainted with old friends (even if the friend wasn't a friend in the novel). 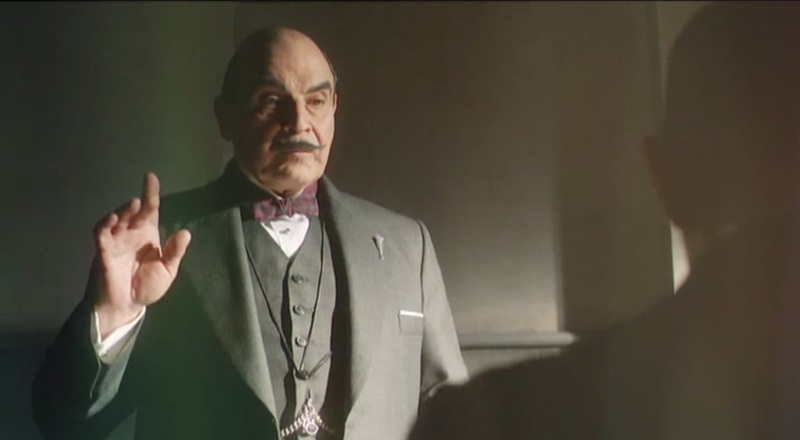 Also, I like the small touch of Poirot's phone call to George (keeping his presence in Poirot's life - much like his calls to Miss Lemon in earlier episodes). Also, the mention of his meeting at the Foreign Office to return the rubies almost feels like a homage to the short story (and adaptation) 'The Theft of the Royal Ruby'. Of the guest actors, Harriet Walter (Miss Bulstrode) is the main standout, perfectly balancing the strict headmistress aspect and the humanity of the character, but most of the actors feel perfect for their roles and do a great job. Series Eleven opened with an episode based on the novel Mrs. McGinty's Dead, first published in 1952. It was adapted for television by Nick Dear and directed by Ashley Pearce. Nick Dear's script is impressively true to its source material. His changes are largely aimed at simplifying the plot elements for a ninety-minute time slot. 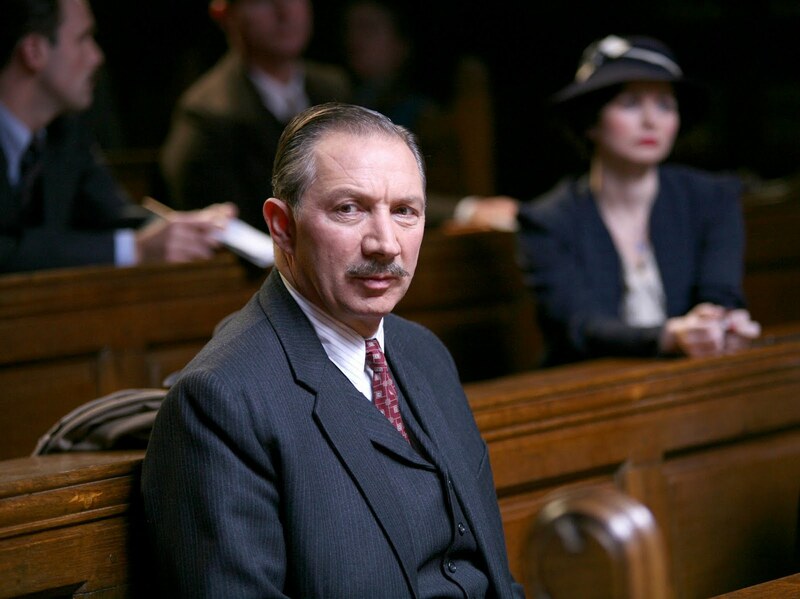 Obviously, the setting is moved from the post-war years to the late 1930s, in tune with the time frame of the television series. The transition is more or less seamless. Moreover, Dear deletes some of the village characters, including the Wetherbys, their daughter Deirdre Henderson and Edna (witness / Joe Burch's lover). In Edna's place, Mrs Sweetiman of the post office becomes Miss Sweetiman. She has a secret meeting with Joe Burch in the woods. Also, Dear places less significance on the red herring of the anonymous letters to Dr Rendell, and the nature of the these. A further change concerns the crimes in Pamela Horsfall's newspaper article. These are reduced from four to two (Janice Courtland and Vera Blake are deleted). This is an improvement on the novel, as the two extra crimes did nothing to elucidate the plot. Finally, the character of Maude Williams is given a different backstory, turning her into something of an independent sleuth with a personal vendetta rather than Poirot's agent (in fact, she disguises herself as a survey conductor instead of working for the Wetherbys). Maude also becomes a love interest for James Bentley, and Dear adds a nice match-making end scene (reminiscent of quite a few of the later Poirot episodes, e.g. Sad Cypress and The Clocks). Dear makes some other minor changes as well, like introducing the brilliant character of Ariadne Oliver earlier than in the novel, and having Mrs. McGinty's niece live in McGinty's old house rather than somewhere else. All in all, the adaptation remains faithful to the novel, maintaining much of both its humour (including nearly all of the Mrs Oliver dialogue!) and its bleakness. Ashley Pearce's direction takes some getting used to. I remember the first time I watched this episode I was just extremely annoyed by the constant use of out-of-focus close-ups and blurry shots, and I know some fans still feel this is one of the most poorly directed episodes of the series. With time, though, I've grown to appreciate the artistic choices somewhat more than I did initially. The slight 'glow' of the shots actually add to the atmosphere of the adaptation, and I enjoy the many overhead shots (particularly the crane shot of Poirot arriving in Broadhinny, which gives us the feeling that we are peering into not only Poirot but the lives of all the people in the village). In sum, then, the direction actually succeeds in creating a particularly eerie and dark atmosphere that goes well with both the original novel and Nick Dear's script. I also have to give credit to the production designers this time around. Not only are these sets perfect to look at (and contribute to create the atmosphere), but they have accurately taken the specific descriptions from the novel into account. For instance, the sugar hammer is exactly as described in the novel, and so is the Carpenter house. The locations include Richmond Theatre (where Robin Upward's play is performed), the village of Hambleden in Buckinghamshire (previously seen in Evil Under the Sun and Sad Cypress), Horsted Keynes Station on the Bluebell Railway in East Sussex (Broadhinny Station) and 'St Anne's Court' in Chertsey (Carpenter's house). The roof area of the latter house would later be seen in Three Act Tragedy, and the entrance hall was used as part of the flat belonging to Halliday in 'The Plymouth Express'. Stephen McKeon's soundtrack is effective for the atmosphere of the episode, and several tracks are available on his website. I particularly love the minute references to Gunning's Poirot theme that were also hinted at in the score for Cards on the Table. It's an absolute treat to see the relationship between Poirot and Mrs Oliver develop further. She is a perfect Hastings substitute while at the same time providing Poirot with something completely different. Scriptwriter Nick Dear made the clever decision of keeping most of Ariadne's lines from the novel, which leads to some humorous interactions. I particularly enjoy the discussion of Robin Upward's play adaptation, but most of all I think her arrival scene (even down to the apple core from the novel) is especially well done, and her driving (with Poirot as a passenger) brings to mind all the scenes in the earlier episodes with Hastings and his race car. As I've said before, Zoë Wanamaker is the perfect Mrs Oliver to match Suchet's Poirot. It's also nice to see David Yelland back as Poirot's valet George (he comes across exactly as in the novel), and to see Richard Hope return as Superintendent Spence (previously seen in Taken at the Flood, he was sadly deleted from the adaptations of Hallowe'en Party and Elephants Can Remember. As for the guest actors, there are several good performances here, but the stand-out has to be Paul Rhys as Robin Upward. What a performance, especially towards the end of the film.